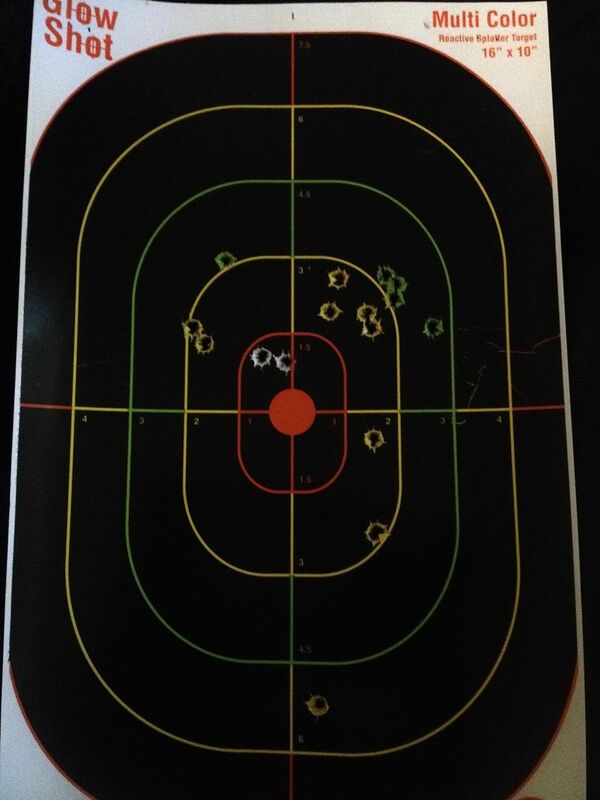 sorry if the photo is blurry, the other sporadic shots are from my mosin, its very hard to see that far with irons the shots in the center are from my ndm and this is with bulgy surplus ammo too. Pretty darn good. What ammo were you using? I see it was Bulgarian but was wondering what grain bullet? Very nice Thats looks like what I get with my Tiger. 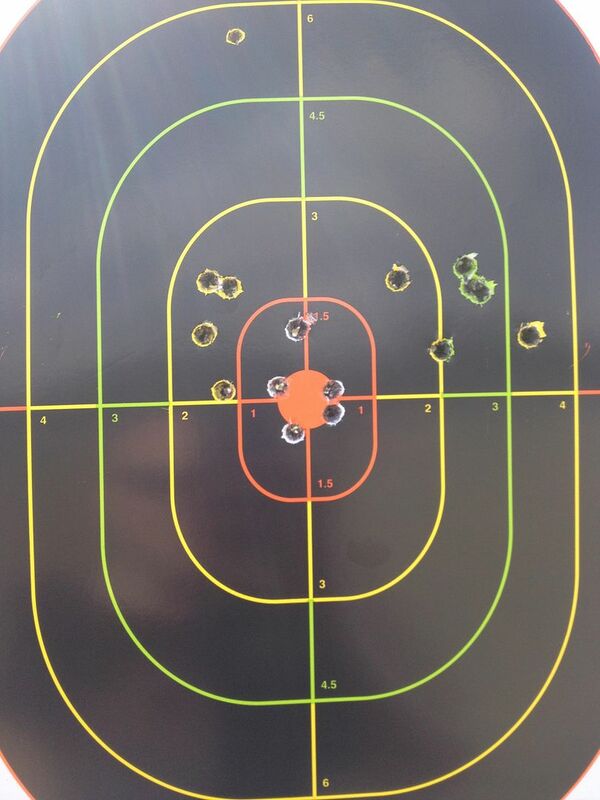 The bullet is the 147 grn light ball stuff, great groupings aaron! what ammo do you shoot? thanks. 147 and 178 Brown Bear. Nice groups! I need to get some more light ball. I know this post is months old but did you do the side by side comparison El Laton? No, it's rained the last couple of times at home and I have a creek/gully with a soft clay incline when I set up for 200 yards... That and limited time home. I'll be zeroing my scope on my ndm again, I just had to jack with it thinking I could get it tighter, now it's shooting off. If your shooting a NDM in .308 you do quite well with 168grn match to get the best performance....if 7.62 x 53/54r then the Russian 7n1 sniper ammo is great. 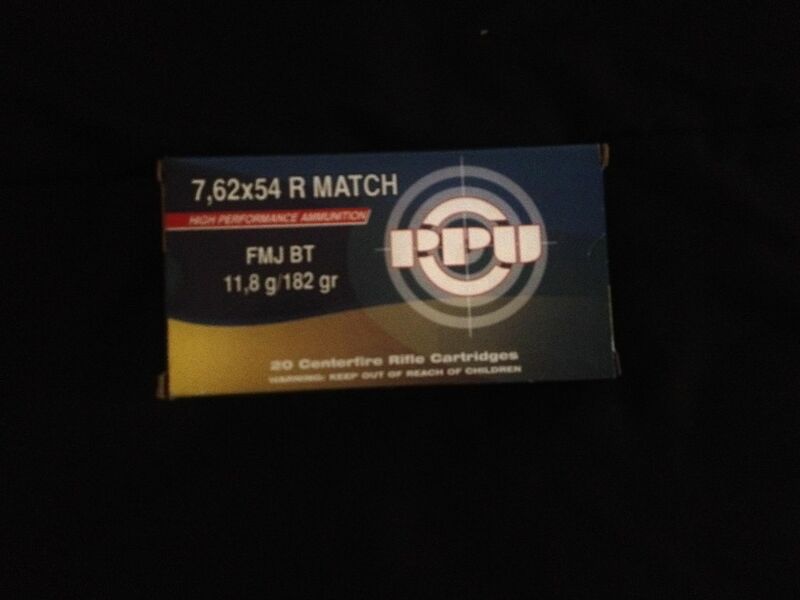 The M75 ammo for the 8mm is not match/sniper ammo...that is pure marketing bs.......the rifle does best per factory with 170-174 grn...so the Romanian ball is pretty darn good and so is WWII German 8mm which is outstanding in thee rifles. I have the 7.62x54R and have yet to see any 7n1 ammo surface lately, it shoots the bulgarian and russian surplus great! So I'm not hunting for the 7n1 too hard. Looks Ok but I have never been impressed with the accuracy of comblock guns. My AR 100 Yd group. Great shooting Napots, maybe you should try my ndm, you'd probably do better than me. What ammo do you usually use? 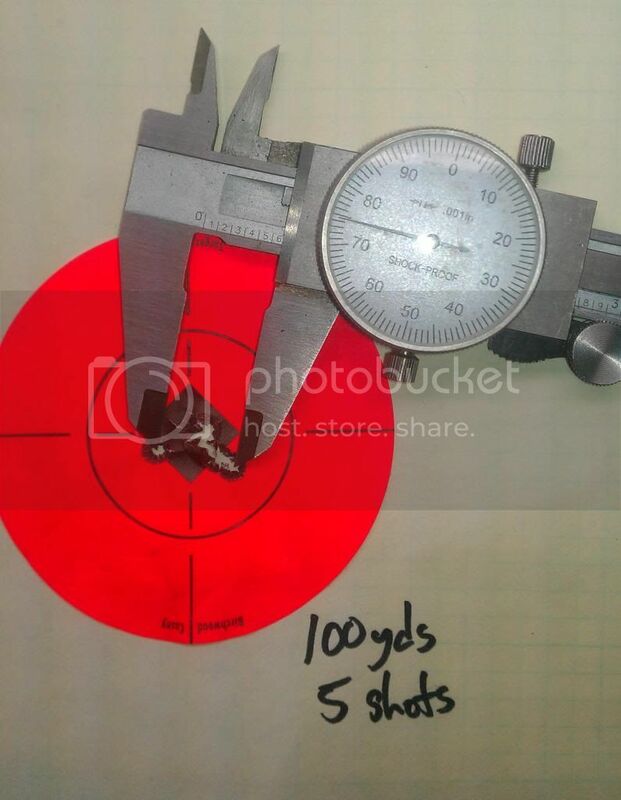 I also realized that the picture i took in my previous post is not the right target, that was the day i was testing 150grn wolf gold, 174 silver bear and 182 ppu. 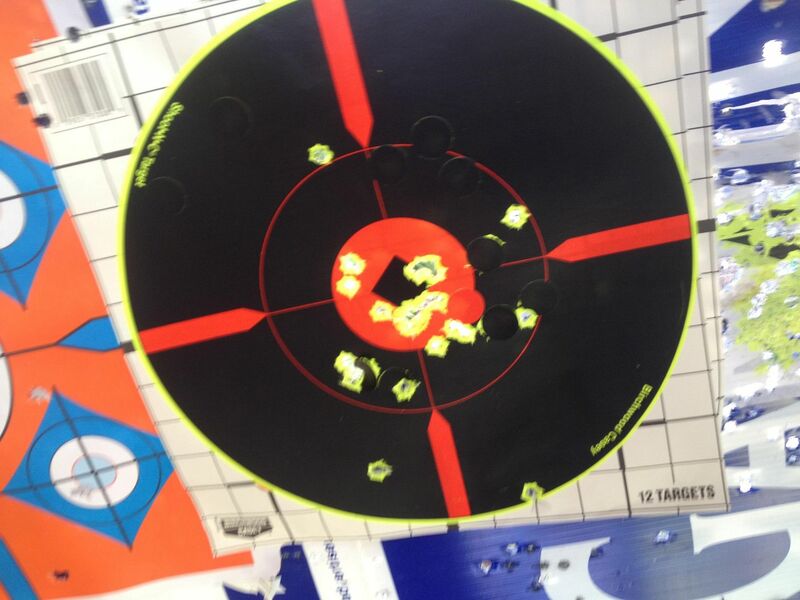 The wind was crazy that day, the wolf shot all over the place, the silver bear was center and the ppu was in the green. I'll have to wait another day to try the match ammo out again. Last edited by s15v8; 04-02-2014 at 11:02 AM. If anyone runs across 7n1, please let us know. It's excellent ammo. IIRC, it has a "thumper" in it that moves forward when the target is hit and causes the ammo to spin and make a larger entry hole. Do I remember correctly? Is the word I'm after "keyhole"? I think they called it a lead "knocker", but yeah. It was designed to upset / yaw the bullet in soft tissue.